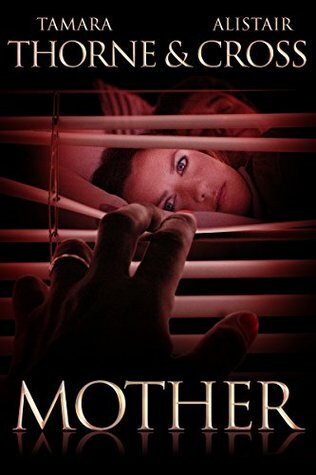 Mother is a superbly crafted and enthralling psychological thriller which has emerged from the writing partnership of Tamara Thorne and Alistair Cross. For me, the novel has strong echoes of David Lynch and Stephen King: there are a myriad of secrets and dark deeds which go on behind the immediate visual landscape, complemented by a host of quirky yet intense characterisations and a devilishly twisted plot. The read also contains some very dark humour. The words sociopath, narcissist and even monster fail to adequately describe Prissy Martin, the ‘Mother’ of the title. She is one evil package of destructive, controlling, self-serving and remorseless desires who will let no one get in her way. Indeed, this monster’s tentacles reach far and wide….. It is into this that Claire, her estranged daughter, pregnant with her first child, reluctantly returns, accompanied by her husband Jason, the couple having fallen on hard times. Surely Mother is not as bad as Claire’s memories indicate? Indeed, at first Prissy appears to do all she can to make them feel welcome, but it is not long before they too become prey to her nefarious designs and her need to control all around her. Their marriage, health and Claire’s sanity is soon under threat as Mother reverts to form. Mother has her own special plans (exactly what we are not made privy to until the novel reaches its conclusion) and will not be thwarted….. Family secrets, lies and the past intertwine to create a read where, with each turn of the page, my heart beat ever faster as the evil intent reveals itself as we approach the novel’s shocking denouement. Madness threatens to consume Claire and her mother Prissy and it is uncertain who will be the victor. The novel contains some truly superb characterisations, not just Prissy herself but also the unfortunate Claire, the unsuspecting Jason, Barb, Prissy’s long-suffering neighbour and friend and Fathers Pike and Flanagan, the current and former local priests. The residents of Morning Glory Circle each have their own secrets and there are many surprises in store as they are slowly revealed. I was open mouthed as the plot unfolded. This deeply psychological novel contains truly appalling revelations, and is certainly not for the faint of heart. If you are looking for an unforgettable and heart stopping read that explores the depths of human depravity then this is the book for you. An unforgettable read by a writing duo that are at he top of their game. Please note, an ARC of this book was given to me for the purpose of a fair and honest review. This entry was posted in Review, REVIEWS (ALL) - Reverse Chronological Order, Thriller and tagged abuse, alistair-cross, blackmail, Control, madness, mother, obsession, psychological thriller, sociopath, tamara-thirne, thriller.